April 3, 2015 0 Is Fast Walking Good for Burning Calories? April 16, 2015 92 Which Exercises Will Help Reduce My Big Breast Size? April 2, 2015 0 Basal Metabolic Rate Calculator – How Many Calories Burned? Is it possible that in today’s high-tech, information overloaded society we have completely passed over this simplified concept in search of The Holy Grail? Are all the toys, bells and whistles really necessary to help the average weight loss seeker achieve their goals? If losing weight is really a matter of calories in vs. calories)out (which it is by the most basic standard then the average person who has a full and busy life outside the gym needs to find the easiest and most natural way to accomplish the NEAT Factor. If “moving more” were as simple as it sounds we certainly wouldn’t have a diet and exercise industry that is making more money than any other industry for the last 4 decades, nor would we be the most obese ridden society in all of history, nor would we be suffering all time high death rates from diseases that are related directly back to excess weight and body fat. Life just isn’t “that simple”. The phrase, “Being Active Naturally” was actually coined based on the NEAT Factor. It boils down to an easy comparison. Joe comes home from his desk job at night, eats dinner and goes directly to the recliner to catch up on DVR events. Bob comes home from his desk job, eats dinner, takes the dogs for a walk, mows the yard and then sits down to watch 60 minutes of TV. 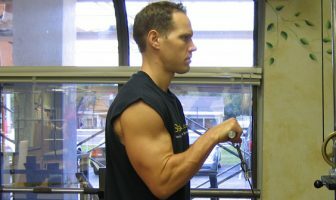 If everything else in Joe and Bob’s day were exactly the same and they had the identical inner “burn” going because of identical muscle mass and weight and thermogenesis (metabolic process) and they ingested exactly the same calories, Bob would be a leaner person in a few weeks simply because of his NEAT Factor. You have a desk job for 8-12 hours a day and come home to children at night. You are obviously fatigued and you feel like your day is still going strong and it is- emotionally. But from a NEAT perspective it might be sedentary (reading, holding, rocking, playing board games). This kind of activity also often entails eating “snack” foods which have calories regardless of how healthy the food may be. The problem most of us face is that we are mentally fatigued long before we have physically spent any real calories in a day. For those that are naturally active all day the calories we eat tend to be well over what it takes to sustain that level of activity. This is partially true because we are so busy we forget to count all the grab n go calories. We also tend to grab foods that don’t sustain us, so we eat more and more calories to get an energy surge or satisfy hunger. Eating nutrient rich foods solves this but as we know that’s not always easy and its rarely “fun”. This is why planned exercise has become the only real way for most people to lose weight. Another reason that NEAT lifestyles alone may not work in helping people lose weight is, caloric intake. You cannot out exercise a poor diet. That’s not just some cliché’ – its fact! If you have ever used a heart rate monitor or such devises, that tell you how many calories you’ve burned and compared it to the calories consumed at the birthday party this weekend or the Mexican food you ate at the restaurant Friday night or the calories in the creamer you put in your coffee every day, and you’ll understand this fact. If you have ever used a treadmill or stair master and set the controls for calories burned (they aren’t real accurate but it’s a starting point) – you’ll understand. My husband comes back from the community gym nearly every day mad because his cardio warm up only burned 100-120 calories! On his 230# frame that’s basically nothing yet his brain says to him all day long: “You worked out, you can eat more!” It’s a defeating cycle! We’ve burned 1259 calories and it only took us 6 hours to burn lunch calories! – Unless of course you ate / drank during the activities or snuck in French fries that you didn’t report! In my opinion, your best bet to lose weight is a multi faceted strategy. Be aware of opportunities to move more than you already do in your day. 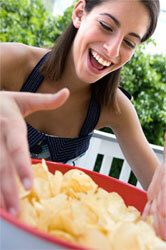 Take ¼ of your allotted lunch break and walk – eat then walk or walk first and then eat. You can still socialize – they just have to walk with you! NEVER go from dinner table to living room chair! Make it a point to spend at least 30 minutes immediately following dinner to be on your feet and moving around. If a pedometer or heart rate monitor will help you move more, then BUY IT and USE IT! 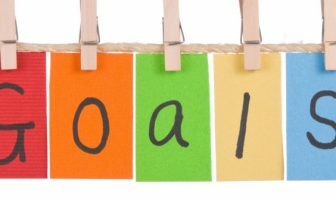 If it won’t help you then save your money and put sticky notes up on your desk as reminders, set a cell phone alarm to go off, have an email reminder pop up on your screen, whatever works for your lifestyle. Cardiovascular exercise (cardio) is perfect for releasing stress and burning calories. If you find an activity you love you’ll feel wonderful doing it and therefore more likely to be consistent. Home Workout DVDs. I’m a HUGE fan of these! No Excuses, lace up and press play! Racking leaves, using a Push Mower instead of a gardener! I’ve been known to clean my house wearing a 10 pound weighted vest! Aside from the aesthetics of weight lifting or strength training and the sport it has become, muscle is a sure-fire way to burn more calories while the body isn’t working out. Muscle is built after the actual workout, while the body is recovering. The simplified version of building muscle is this: When you lift weights appropriately (seek professional guidance if you’re new to this) you will tear down the muscle, when you allow the muscle to rest it works on rebuilding itself. The process of repairing and rebuilding itself causes your body to work harder and to thus to burn more calories than it would if it wasn’t going through this process. Once the muscle has recovered and has been built your body is working harder than normal to feed the new muscle growth which also burns more calories. When you consistently repeat this process you create what we call a Fat Burning Machine inside your body. This is the reason a person with higher Lean Body Mass (muscle) must eat more calories in a day than a person who doesn’t have this going on inside their body. Muscle is they “magic” that so many of us turn to when there simply aren’t enough hours in the day to “cardio ourselves” lean or thin! Lift weight 3-4 times per week – but it must be done correctly. There really IS science behind this so don’t “wing it” and get zero results! There is a tried and true method to building muscle! Remember life is always about balance. Some days you’ll be more active than others, some days you’ll have a birthday to celebrate and you’ll enjoy a piece of cake. A healthy life means a healthy mind, healthy body and healthy spirit. 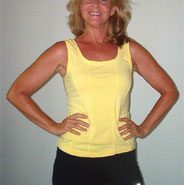 I earned my Personal Training Certification and added Nutrition Counseling Certifications along the way. I did this so I could help other women like myself regain control of their lives. Changing a lifestyle isn't easy but it is rewarding and I am proud and humbled every day to be a small part of that journey. See my profile page for more information! Despite daily workouts, I made little progress with weight loss until I gave up processed food, refined flour and sugar, and alcohol. Now that I’ve added more NEAT principles to daily routines, I see an even bigger difference. I walk everywhere, often watch TV marching in place or cycling, climb up and down stairs during breaks from work, have asked for an adjustable stand up/sit down desk, and have ordered an under the desk cycle for my job. I recommend that everyone purchase a fitness tracker like the Fitbit Charge that measures steps, heart rate, activity level, sleep, and so forth. Only then will you realize that a once daily exercise session, while helpful, is not enough to achieve your weight loss goals. The problem is that once you’ve been sitting for a while, your heart rate drops to its base level, as though you were asleep. Simply getting off your rear end and moving around for a few minutes you can double your heart rate and fire up your metabolism!